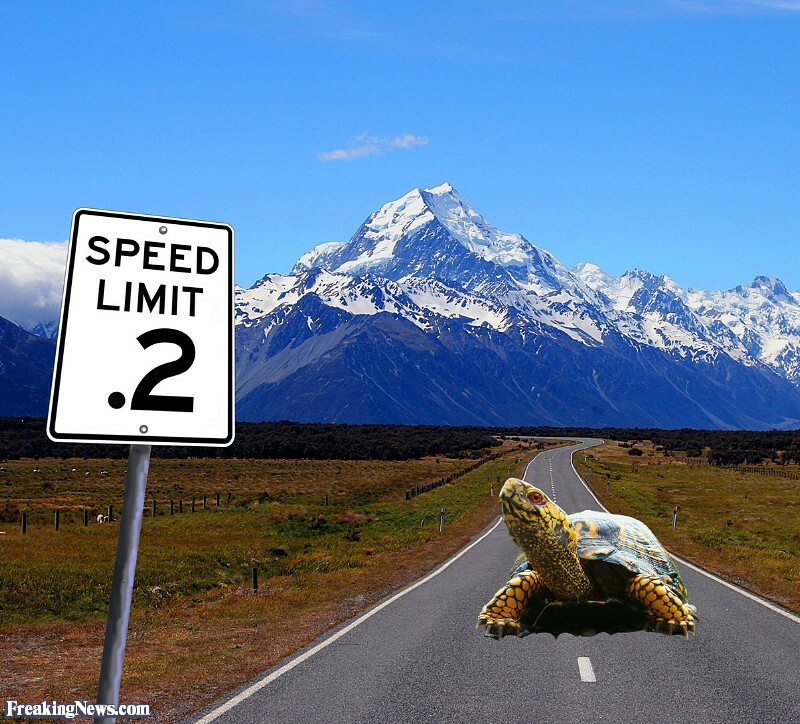 Speed has become a valuable commodity for companies selling a product or delivering a service. In this time conscious age, where everything from same-day delivery and two-minute bedtime stories are in demand, faster has become synonymous with better. People seek faster travel, faster communication, faster meals, and even faster relationships. The reason supposedly, is to save time. But it also appeals to our sense of urgency: the I-want-it-now syndrome, fueled more by desire to be one of the first to have something, rather than just our impatience. When radio first appeared, it took 38 years for 50 million people to buy it. TV was gobbled up by 50 million people within 13 years. The World Wide Web captured the 50 million people in four years, iPhone only two years, and Google plus did it in 88 days. By the time Pokémon go hit the market, it sold 45 million apps within a few weeks – although by then, saving time couldn’t have been the motivator by any stretch of the imagination. By then we were hooked on speed for the sake of speed itself. Who could bear to wait a week for a letter to arrive or a mail-order product? How many people would opt for an oven over a microwave, a lengthy book over a brief e-book or blog article – or even an email over a text message? Speed is king. And some claim that technology, which makes it all possible, has increased personal productivity to the nth degree. In a perfect world they could have been right. But the reality is that faster cars met with modern-day traffic, gridlock, construction, detours, and longer travelling distances – to the point that we are spending as much time in our vehicles as we did 100 years ago. Where is the productivity increase? Email is definitely faster than a letter; but 1000 emails are slower than a letter, at least in terms of the writing part – so how could it be a timesaver? For example, in one recent survey, the workers questioned in a poll estimated they spend 6.3 hours a day checking emails, with 3.2 hours devoted to work emails and 3.1 hours to personal messages. Sure, it’s faster than letters, but not when there is so many of them! Shopping is supposed to be faster with the advent of Superstores allowing one-stop shopping; but the area that has to be covered, the long wait at the check-out desk, and the time deciding which of the tens of thousands of products to buy offsets any time saved. As far as automation is concerned, washing machines have sure made washing clothes faster; but the problem is that we now have more clothes to wash and we wash them more often. We can make friends quicker on the Internet; but the media itself – Facebook for example – is consuming more of our time. And the relationships are shallow. The net result seems to be that we are simply getting the same things done, but at a greater speed. And of course speed can cause stress and anxiety, costly errors, and fractured relationships. If the speed made possible through technology is such a time-saver, where is all the leisure time that was promised to us thirty years ago? The net time savings seems to be zero; but we do have problems that didn’t exist before, such as the impact of screen time on our attention spans, sleep problems due to sleeping with our smart phones, and lives out of balance because of our addiction to the digital world. Oh, and we do seem to be spending more time in line-ups, waiting rooms, traffic tie-ups, repair depots, mental health clinics and counselling sessions. Organize your office for maximum productivity. Organize your desk and surrounding area so that frequently used materials and supplies and equipment are within reach. The less frequently you use materials, the farther away they should be stored. For example, your stapler, paper clips, writing materials might be on your desk, along with your computer and working files while archived files could be in another room entirely. 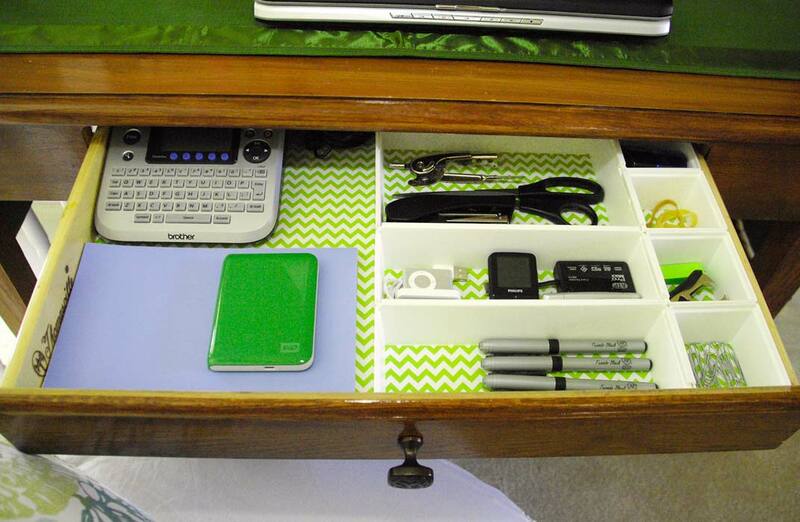 An organizer tray in your most accessible drawer could contain such items as elastic bands, sticky notes, scissors, tape, batteries and staples. Another drawer could contain envelopes, stamps, return address labels, forms, invoices, and so on. If you frequently refer to hardcopy files, house them in hanging folders in your desk’s filing drawer or a freestanding filing cabinet within reach. Action files such as next week’s meeting material, invoices to be paid, information for an article being written or items to be reviewed can be held in a vertical step file device on your desk. But otherwise keep your desk as clear as possible to accommodate your current project. Since people recognize color faster than they can decipher text, for your action folders it is usually a good idea to color code the various categories. Use different colored manila file folders and hanging folders to house the paperwork for different projects and categories. You might have red for action items, blue for payables, yellow for follow-ups, and so on. Of course the tabs should be clearly labelled as well; but eventually you won’t even have to refer to the tab to identify the folder. To store inventory and supplies you could paint shelves different colors so you would know that cleaning supplies are on the green shelf, paper products on the white shelf and safety and first aid supplies on the red shelf. Color provides instant identification among similar items, and if you file by color, anything filed in the wrong place can be quickly spotted. 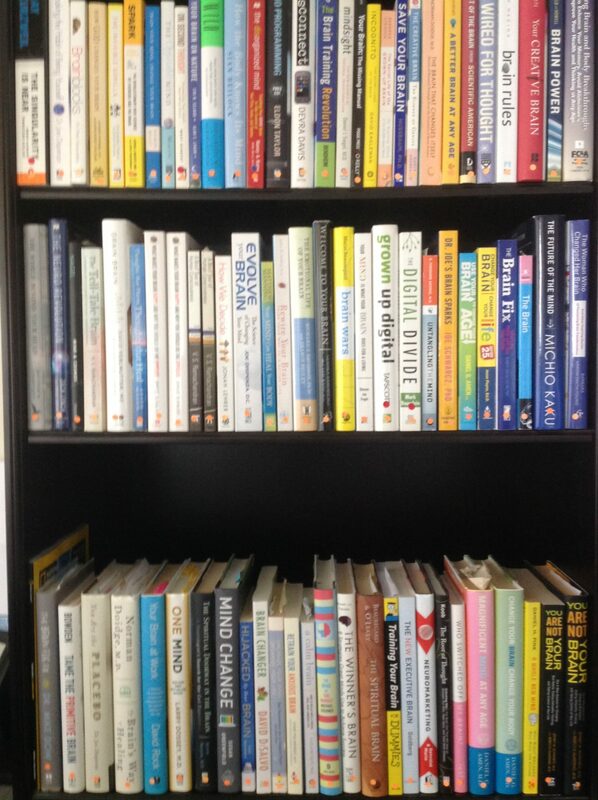 I particularly like the idea of color-coding books according to topic. Whenever possible, store your supplies where they are used – printer paper, ink cartridges etc. near the printer, copier supplies near the copier and so on. These organizing principles apply to your digital files and forms as well. Have frequently used documents such as your weekly blog articles, tweets, monthly reports etc. in a folder on your desktop. Avoid having to click through five or six levels of document folders every day or week to reach the materials you need. Less frequently used files can be several levels down in your main “Documents” folder. For instance, you might have to click through Documents, Associations, NAPO, Conferences, and Exhibits each year to reach the display information document. Remove all clutter and other potential distractions from your immediate work area – including the in-basket on your desk if your office is in a company. Hopefully you have already decided what you will be working on each day and don’t need additional distractions. Any in-basket should be outside your office or at least as close as possible to the doorway. If it’s a crisis, people won’t use your in-basket anyway. Although it seems I am trying to glue you to your desk for the day in the name of efficiency, read this in context with the rest of these articles. Remember the standing desk, 90-minute works sessions, frequent breaks, walking sessions and stand-up meetings. You don’t want to remain sitting; but you do want to remain productive during those 90-minute work sessions. A word of caution: working from home and using your bed instead of your well-organized office desk to get work done is a major productivity killer. And an article in the November 17, 2012 Toronto Star reported on a survey by Infosecurity Europe in London that found that 70% of the workers surveyed spent at least a half hour a day working in bed. An Angus Reid/Vision poll reported in the January 26, 2013 issue of the Toronto Star found that one third of wired Canadians use Internet-ready digital devices before getting out of bed in the morning. This practice is proving to be neither efficient nor healthy. We used to store our burn ointment in the bathroom. I never once burned myself in the bathroom – it was usually in the kitchen. And if you ever had a headache it was more convenient to have it in the bathroom because that was the only place you could find aspirin tablets. What was wrong with duplicating some of the frequently used items and storing them in two or more rooms? We used to have three bathrooms and only one set of cleaning supplies. They were under the sink in the main bathroom upstairs. You sometimes had to search three bathrooms just to find one of the cleansers. And heaven help us if we ever had a blocked toilet in the basement because the only plunger was kept in the upstairs bathroom. Sure, it costs twice as much to duplicate things; but most of them last twice as long. And put a value on your time. As you get older you realize how precious time really is. So the principles I adopted were to store things where they were used, and to duplicate if the items were used frequently in different locations, such as scissors, transparent tape, writing materials and band aids. Also, things used for similar purposes should be grouped together; so in the case of those cleaning supplies, we ended up with a caddy in each of the three bathrooms – all containing glass cleaner, tile cleaner, sponges, cleaning cloths, and so on. Oh yes, and three toilet bowl plungers with short handles so they fit under the sink. Those things are ugly – even with a swan’s head on the end of the handle. We all need a junk drawer. Where else are we going to keep those coupons that expired in 1991 or those useless corn cob holders or bread wrapper ties or little rubber grommets we find on the kitchen floor? But our junk migrated to other fairly organized drawers, transforming them into junk drawers as well. So we resolved to maintain one junk drawer only. That’s where those organizer trays came in handy. We bought one that had about 12 separate compartments and vowed to keep only 12 things to satisfy our packrat tendencies. (I have since improved considerably, no longer claiming “It’ll come in handy someday.”) We did cheat at the time, keeping two or three fairly similar items in the same compartment. But vowing to get rid of anything we hadn’t used in the previous year was one of the most helpful vows we ever made. 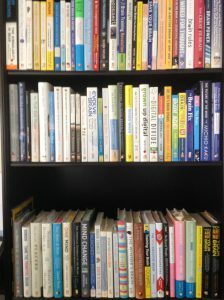 If you are an avid reader – or heaven forbid, a “book collector” like me – you may have trouble locating specific books quickly. I have never needed a sophisticated filing system for books. In fact I rarely search for a specific book anyway. I am more interested in a specific topic, not a specific book or author when I write an article or develop a training program or speech or want to know how to better promote my career. I think it’s more practical to be able to quickly locate all the books on one topic. So for my thousand or more books I decided to keep the topics together and use a color coding method to quickly spot the different topics – and any that had wandered from their assigned spots on my shelves. I applied small self-adhesive labels to the bottom of the spines, a different color for each topic. For example, orange for those dealing with the brain, dark green for business, red for technology, blue for meetings, and so on. When the book covers more than one topic in depth, I would add a label for the other major topics as well, always keeping the predominant topic label at the bottom. It would be filed in that section. Since I have a habit of buying more books than I can possibly read, I don’t apply a label until I have at least skimmed through the book. If you have many topics of interest you could easily run out of colors. But you can always vary the size, shape or shade of the label so they are easily distinguishable. For example I use dark green for business and light green for self-development. Also, when removing a book from your library shelves, you might consider moving the next one a few inches so it protrudes from the rest. Then you can then quickly return it to its proper place later. Organizing your home not only helps you to find things quickly and reduces distractions, it evidently helps you to discover your purpose in life as well. According to research reported in the July/August, 2015 issue of Scientific American Mind, an ordered life lays the groundwork for the pursuit of larger goals, purpose, and significance. 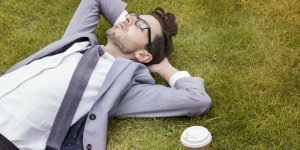 Getting organized, maintaining a tidy office, keeping a daily schedule, having weekly dinners with friends and other routines all add meaning to your life, according to Samantha Heintzelman, a University of Missouri psychologist. Although most people may think routines bring boredom, they bring richness to the mundane, while saving time and mental energy to invest in higher pursuits. Mehmet Oz and Mike Roizen, authors of YOU: On a Diet, claim that visual clutter slows down the brain. They say that’s why clusters of road signs double the chances of missing the one you’re looking for. It also explains why website designers aim for simplicity. So clearing clutter from your desk, office and home and leaving more wide open spaces also helps to clear your mind so it will be more productive. I will briefly discuss office organization in my next blog article.